Here’s a dump of some recent sketches in my notebook. I really must draw more often! If you’re a Doctor Who fan you might have heard me shouting about the release of The Ice Warriors on DVD recently. Like many early Who stories some of the episodes are missing from the BBC’s archive. 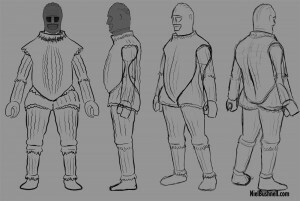 The Ice Warriors, first broadcast in 1967 is a six part story with episodes 2 and 3 lost to the ether. 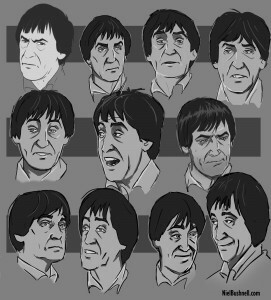 So in order to complete the story for release on DVD BBC Worldwide commissioned the production of animated versions of the missing episodes. 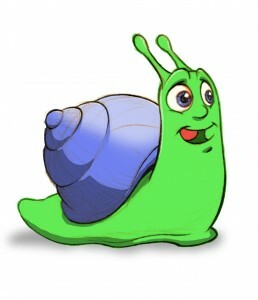 Along with documentary maker Chris Chapman I produced the animated episodes. Director Chris Chatterton led the character design effort but this was something I was also involved with in the early stages. The hardest part was agreeing on a look for the Doctor, and our work went through many iterations. 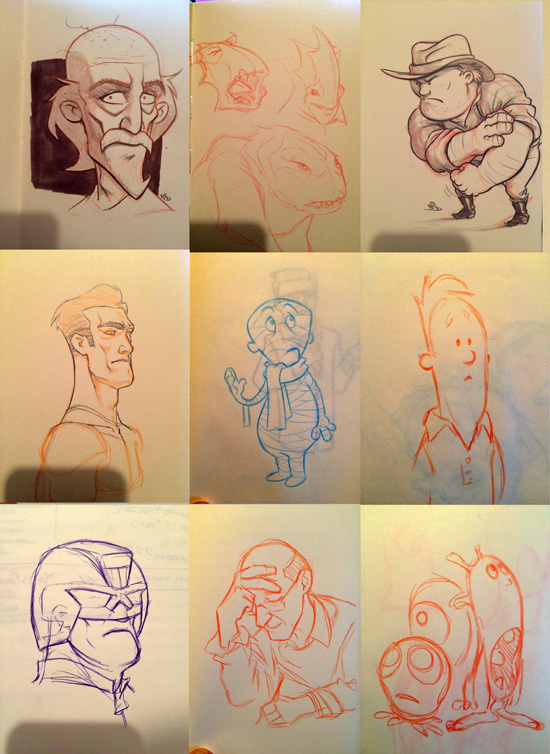 Here are a few of my sketches from that early period in production. Most of these are face studies using photo reference. We were trying to capture the essence of Patrick Troughton’s performance in a stylised form – not easy! 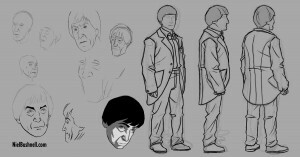 Chris took these drawings and combined them with his own studies to create the final artwork used in the animation. 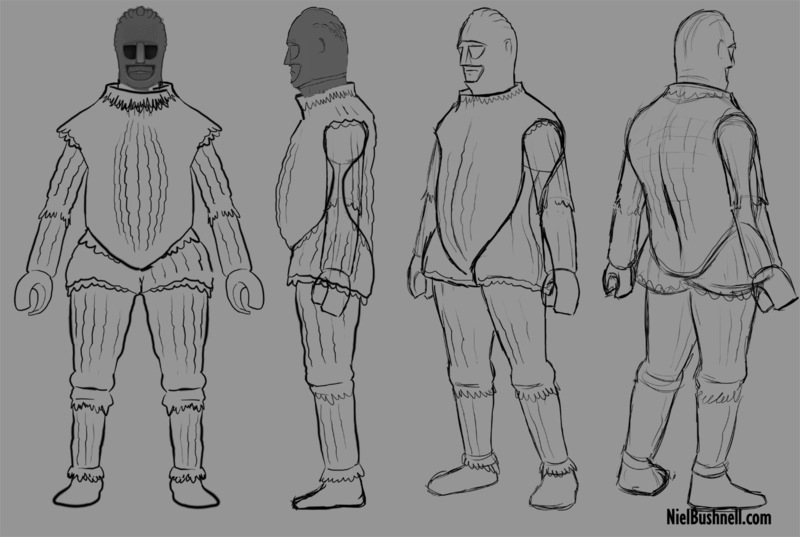 I also did some turn-around artwork for the Ice Warrior, Varga. This is an early rough. Finally here’s my artwork for Victoria. 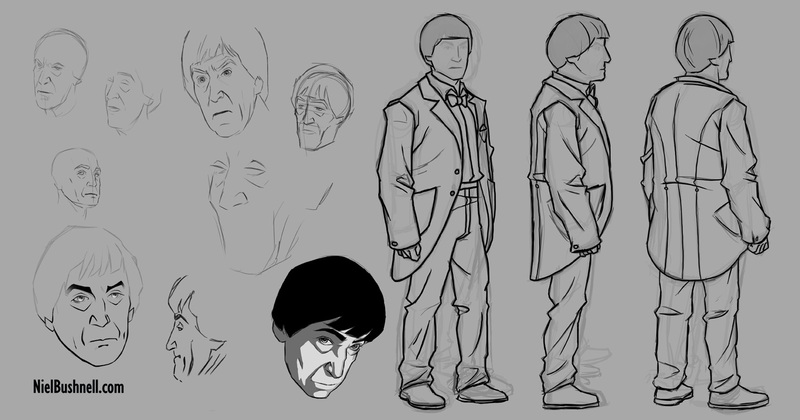 By this stage Chris had set the tone for the designs so my work on Victoria is a more finished, following in the the set style. Each piece of character art has to be broken up into various components in order to be used for animation. 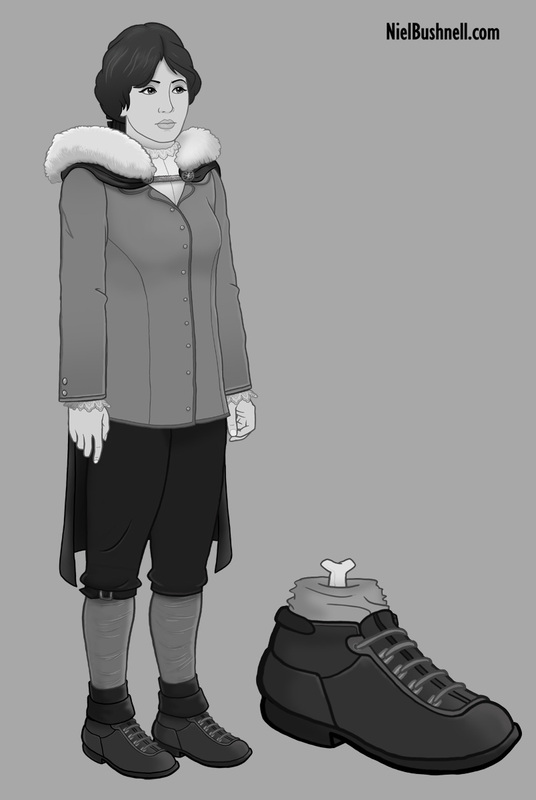 This means that the foot, calf, knee and thigh all become separate pieces of artwork, one overlaid on top of the next, so I couldn’t resist adding in a bit of extra hidden detail onto Victoria’s foot. Something else from the sketchbook – my attempt at Ricky Gervais, drawn last September while watching him being interviewed. 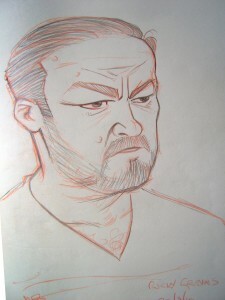 Just discovered this sketch I did for a project in 2009. It never happened in the end, so I thought I’d share it here. Doctor Who returned on Saturday night – and a belter it was too! 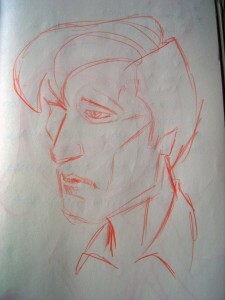 Here is a half-hearted sketch of Matt Smith I did before I got completely distracted. 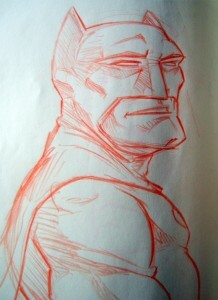 A quick sketch of a rather robust Batman. I enjoyed the old 60’s Batman, which was repeated eternally when I was growing up. It didn’t take itself seriously, and neither does this sketch.